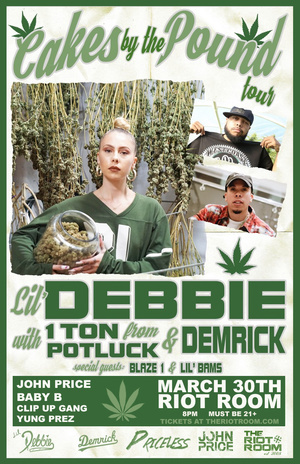 California sweetheart and rapper Lil Debbie has announced the dates for her “Cakes By The Pound” Headlining Tour with 1Ton from Potluck, Demrick, Blaze 1, and Lil Bams. The tour kicks off with a show in Los Angeles at the legendary Whiskey A Go-Go on February 24th and runs all across the country until April 9th, 2017. Lil Debbie continues to tour in support of her debut album “DEBBIE”. Debbie asserts her machine gun flow and boastful rhymes, over 13 impressive tracks. Lil Debbie is preparing to drop the “Barong Family” EP February 24th, which is a collaboration with 5 different DJ/producers from her label in Amsterdam. Debbie is also launching her first edible, concentrate, live resin and weed strain in February as well. One-half of Humboldt County’s most notorious weed smokers Potluck, 1Ton is preparing the release of his debut solo album “OGMC” in late 2017. 1Ton will be on the road playing a mix of classic Potluck tracks and new material that fans have been waiting to blaze. Spokane born & Philadelphia raised, Demrick now resides in Los Angeles, CA. Last year Demrick released his sophomore album “Collect Call” and he followed up with a tour and a blazing new 15-track joint mixtape with Dizzy Wright entitled “Blaze With Us”. Demrick has been on tour rocking sold-out shows all across North America with Dizzy Wright, Madchild, and headlined the Stoney Point High tour with DJ Hoppa. 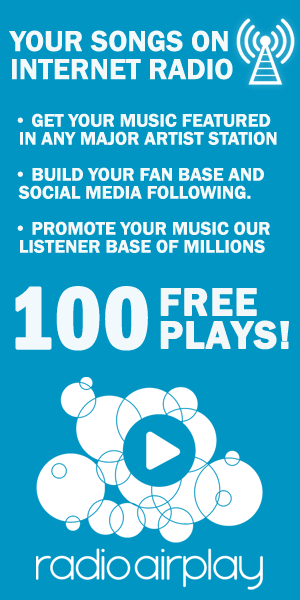 Blaze Smith aka “Blaze1″ hip-hop artist/producer, master glass blower & CEO of Blaze1 LLC. Blaze1’s first debut album “Just Sayin” caught the attention of stoners and music lovers worldwide. 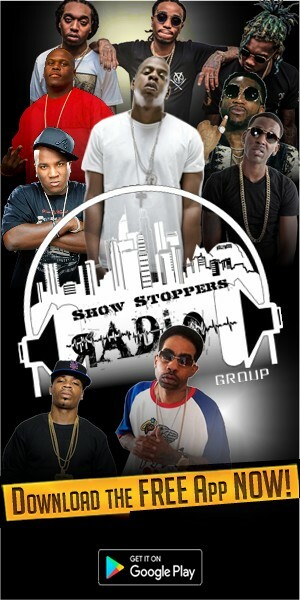 This landed him his first national tour with Devin the Dude & Berner “Buds n Suds Tour”. Blaze1’s is set to release his newest full-length “Packboys” Collabo album with Taylor Gang Artist Berner and also featuring, Iamsu from HBK, Big Omeezy, Celly Cell, and Yung Gully in the Spring. Born Ramon Cardenas Jan 1st 1995, Lil Bams is feeling next. With such a diverse style and touch he puts on every song he can’t wait to stop in your city and light it up. Grew up in a small town, Santa Barbara, big dreams have always played a role in his life. From being an athlete to now a rap star to also growing up a young Mexican on these streets being harassed by the police. With both parents in and out of prison and jail and being on your own at such a young learning how to survive in this hate filled world. Bams takes you into his perception of the world as each word hits your ears. His album is called “2bams” and features Neff the Pharo, Nate Dogg, Damizza, Kurupt, and Bizzy Bone.